What are some of your favourite inspirational quotes and thoughts? Share them with me! In my morning yoga class, the teacher began with a brief meditation involving colours. Working from red to orange and yellow to green, we took time to envision the colours and conjure up their meaning. The one that struck me the most was green. Green, in this exercise, was related to compassion and loving oneself. For any journey to begin, we must first start within. Do we love ourselves enough to understand our worth beyond the labels we assign – whether they be father, mother, sister, brother, aunt, spouse? Can we truly get to the essence of who we are? Yoga gets us closer to that. I find that through my asana practice, I am more able to accept myself for where I am in any given moment. I know that my abilities will change from day-to-day, from class to class…and, that is okay! My time on and off the mat is a reminder that we can only do the best with what we have any single day, hour and moment – spiritually, mentally, emotionally and physically. 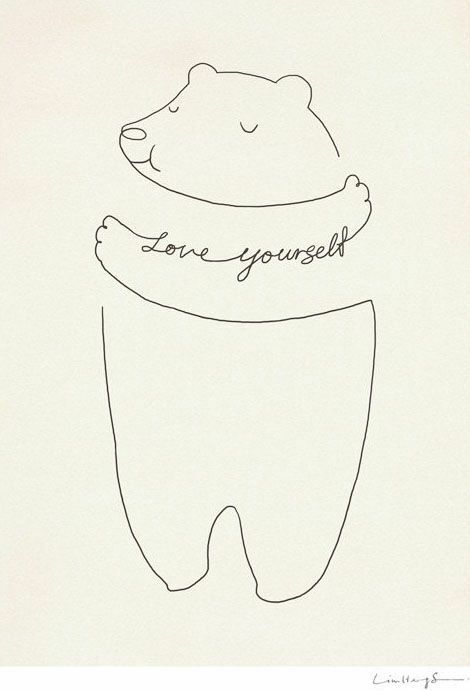 Loving ourselves can be one of the most difficult aspects of our own journeys. It is hard not to be swayed by negative voices or our own perceptions of what others may be thinking of who we are. It is important to remember that we can be not only our own worst enemy, but also our very best friend. I used to say, when looking at photos of myself as a kid, that I could understand why no one would want to be that girls friend. That pot belly! Those braces! Those bottle coke glasses and frizzy hair. Now, when I look back at those photos, I realize that girl is still inside me and more than anything, I want to be her friend. That person is still within in me and has been part of the journey to where I sit today…and today, I recognize her awesome-ness. Today is a day where I am choosing to love myself.